Robert B. Rosen is a commercial litigator who practices in state and federal courts throughout the country, as well as before administrative agencies. He concentrates his practice in intellectual property and employment law. 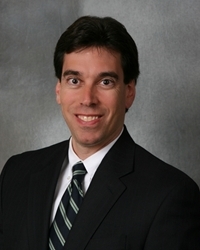 Mr. Rosen assists his clients in all aspects of their trademark work, including developing trademarks, service marks and trade names, prosecuting trademarks before the United States Patent and Trademark Office, negotiating and preparing license agreements, and enforcing trademark and other intellectual property rights in courts and other venues. He also assists his clients in developing and implementing employment policies and procedures and represents them in state and federal judicial and administrative proceedings. Mr. Rosen served as a Senior Editor of the University of Pennsylvania Law Review in 1984-85. He is a member of the Bars of New York, New Jersey and the District of Columbia, as well as federal trial and appellate courts in those jurisdictions. Senior Editor, University of Pennsylvania Law Review, 1984-1985.